Tales of Graces F is the latest Tales game to grace western shores (you see what I did there?). Tales of Graces, sans F, was originally a Wii game released only in Japan, while Tales of Graces F (henceforth, just Graces) is the extended, enhanced version for the PS3. The “F” stands for “Future,” as it adds a whole 10-hour additional epilogue to the game. If you’re familiar with other Tales games, the co-op format of Graces is much the same as the other titles. One player controls the movement around the map and interacting with people/things in the story portion of the game while up to four players can participate in the real-time combat. Whenever players go into “the field” in between important story areas (such as towns) there are monsters running around which trigger the combat encounters. Players can easily drop in and out for the combat with the non-player-controlled characters being controlled by the AI. We’ll do a run-down of the combat in a little bit. First, let’s hit the story. Graces follows Asbel Lhant, the heir to a small township. The first few hours of the game feature him and his friends as children on the cusp of adolescence. I’ll be honest here, the childhood part of the game will probably be boring to many players. My co-op partner left the room multiple times to let me slog through this part of the story on my own. While there are some combat opportunities during this phase, the primary focus is the story, and it’s slow going. It provides important backstory for the rest of the game, and again, it only lasts a few hours, but it can still be painful to get through. After the childhood era is completed, the story picks up seven years later, which is the era of the rest of the game. We encounter an 18-year-old Asbel, now a sword-wielding knight full of doubt and conflict (yup, this is a Tales game!). Throughout the story, Asbel struggles with his identity and attempts to fulfill his utmost desire to protect his friends. In classic JRPG fashion, however, he won’t be doing this alone. 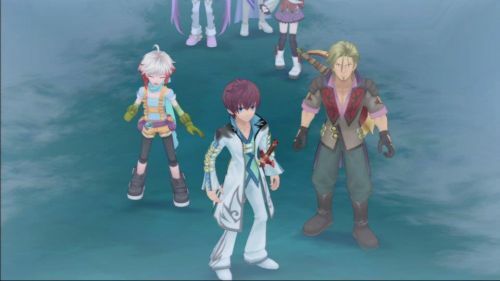 Asbel is joined by several other characters who each bring to the table their own worries and challenges for poor Asbel. 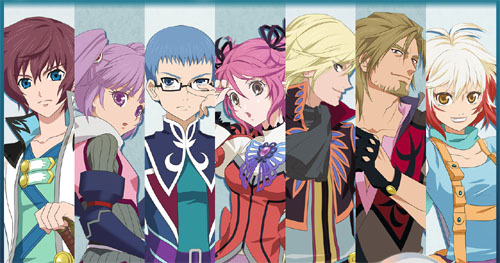 There’s Sophie (the amnesiac girl who seems to be more than she appears), Hubert (Asbel’s also identity-conflicted brother), Cheria (Asbel’s childhood friend who has abandonment issues), Richard (crown prince to the kingdom who is randomly sadistic), Malik (Asbel’s Captain from the Knight Academy), and Pascal (happy-go-lucky ruins spelunker). Graces seems to revolve around the relationships between characters a lot more than some of the other Tales games. This could be a good or a bad thing. If you like the characters, you’ll probably enjoy the interactions between them and Asbel. If you dislike them, you might find yourself rolling your eyes in the cutscenes. On the bright side, I personally found most of the Graces characters to be likeable, or at least inoffensive (excepting their hideous clothing choices). Page created in 1.2302 seconds.